George Kelly (guitar, slide guitar, vocal); Bill Gaff (keyboards); Harvey Thompson (backing vocals); Bridgett Grace-Bailiff (backing vocals); Mark McCoy (harmony vocal, ac. guitar), Julien Labro (accordion); Russ Miller (saxophones), Tyler Duncan (uilleann pipes, bodhran); Larry Fratangelo (congas); Dennis Sheridan (percussion); Paul Finazzo (bass); Ryland Kelly (bass); Dave Taylor (drums). A mix of blues, jazz and rock that spans the spectrum of emotion and musical style. George Kelly is a master guitarist and superb songsmith. On Lucid Intervals he has combined an eclectic mix of genres and styles to make that perfect Sunday Morning, coffee and newspaper album that will captivate the most discriminating listener or casual music lover and leave them wanting more and more. George Kelly is a native of Massachusetts and has called Detroit home since 1995. His musical career has spanned numerous genres, and he’s performed as a guitarist, slide guitarist and vocalist in blues, rock, roots and country bands across the United States over the last 20 years From the Zero Miles Band, Face to Face and Paula Doo-Rite Band in New England to Still Smokin’ and The Smokin’ Section in the Mountain West, Southern California and many points in between, he has remained committed to American roots music. Kelly finally settled in Detroit in 1995, where he began to take a more earnest approach to songwriting. He made some demos (with the intention of submitting them to publishing companies), the first of which was recorded at the studio of renowned Los Angeles cellist Cameron Stone (whose recording credits include Tracy Chapman, Niya Yesh, Greg Leisz & Donna DeLory, to name a few). It was Cameron that first suggested that George make his own record and be the artist as well as writer. 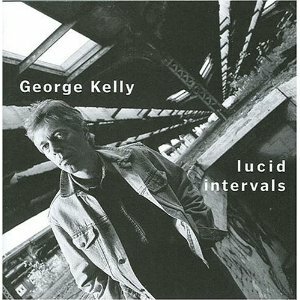 George later hooked up with noted Detroit keyboardist/producer/arranger Bill Gaff and began to put together what would become “Lucid Intervals”, a collection of original songs that draw on Kelly’s broad experience with the blues, soul, jazz, country and rock ‘n’ roll (with a bit of Ireland thrown into the mix). 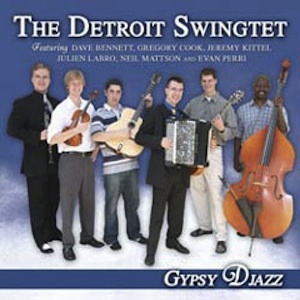 The record, which features a cast of stellar Detroit musicians, was completed and released in November 2003. Kelly’s songs have received acclaim from Broadjam (a site where music is reviewed by artists and fans), with the songs “Bluesman” and “Get What U Pay 4” appearing on Broadjam’s Top Ten List. All Music Guide gave “Lucid Intervals” a four star review and included the following comments: “A fine slide guitarist, Kelly is also a careful and literate songwriter, somewhat in the John Hiatt vein, and his straight, unaffected vocals on these tracks allow each song room to breathe. The ensemble playing is crisp and full, and the overall tone and sound of the album is a bit like Steely Dan playing the blues.” Kelly has been the recipient of numerous songwriting awards in the categories of blues, jazz, R&B, rock, gospel and country. “Love Interest” was the runner up in the Jazz Category in the 2002 John Lennon Songwriting Contest and numerous other compositions from his debut album have received honorable mention from Billboard, USA Songwriting Contest and others. Relatively speaking, George Kelly comes from a talented family: older brother Peter Kelly plays bass for the Boston-based Jump City Blues; niece Jean Louisa Kelly has sung on David Letterman, starred in the films Mr. Holland’s Opus and Uncle Buck, and now appears weekly on ABC’s “Yes Dear”; son Ryland Kelly plays upright bass with the Detroit Civic Jazz Orchestra (under the direction of Marcus Belgrave) and the Tom Stoepker Trio.